Voiced by Yngwie J Malmsteen, this noiseless single coil for Strat middle position delivers an articulate and fluid response to rapid pick attack. 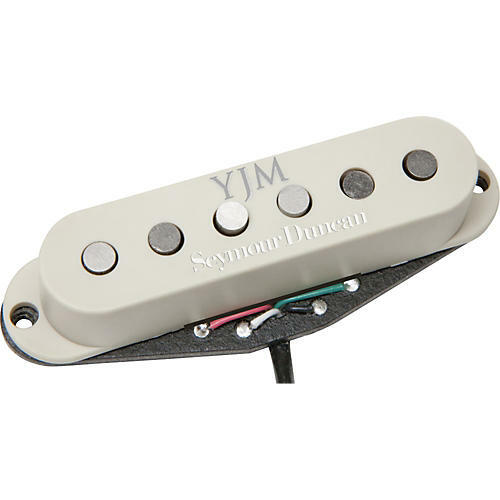 The YJM Fury Stack hum-canceling single-coil-sized pickup is based on Seymour Duncan's original Stack pickup design. The neck pickup balances Yngwie's fluid left hand technique with his broad mix of right hand pick attack for a tone that's sweet and fluid, but with great articulation and responsiveness to dynamics. It's recommended for rock, neo-classical, shred, hard rock, power metal, and heavy metal.